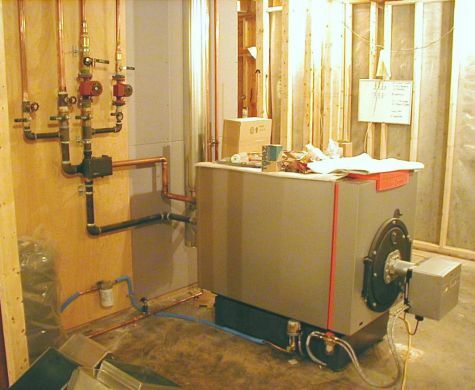 The only place to put ductwork in this home was between the floors. 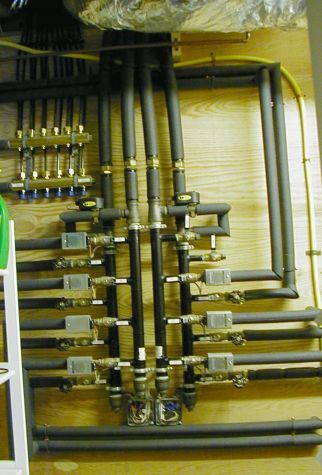 We custom designed this trunkline to fit the only available space. 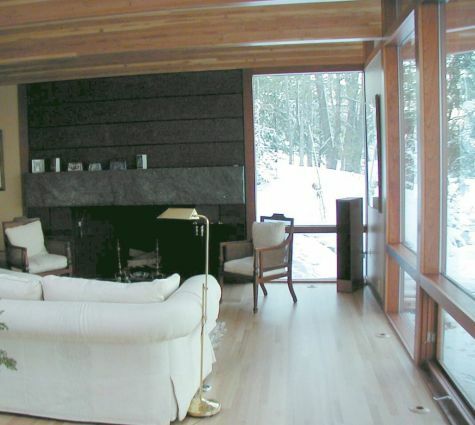 The cedar beam in the lower part of the picture is exposed. The space above the beam is only 7 ½” high. 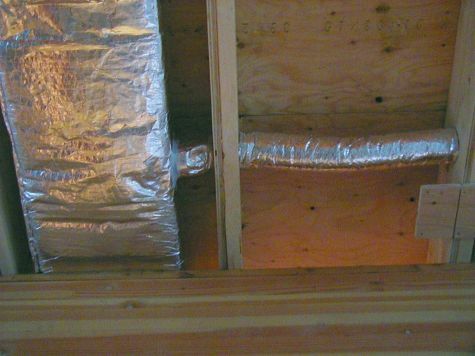 Two trunklines next to each other showing close up of ducting. 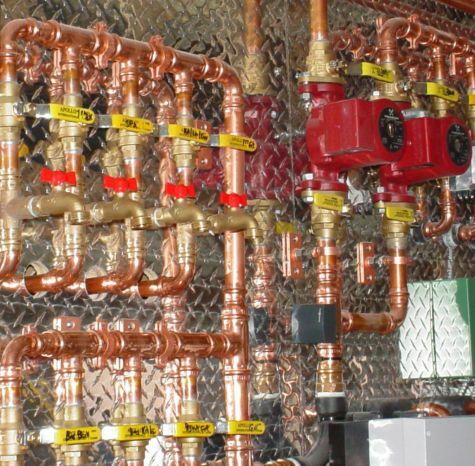 Two of the custom built zone control manifolds. 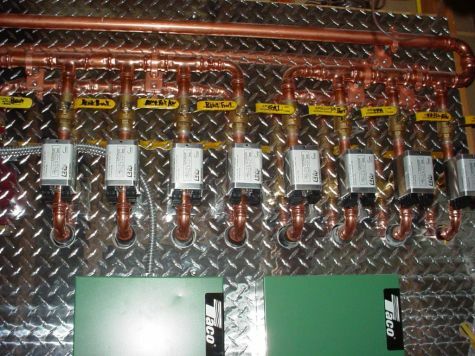 Note: all have valves for isolation control and we labeled them all for quick reference by the homeowner. 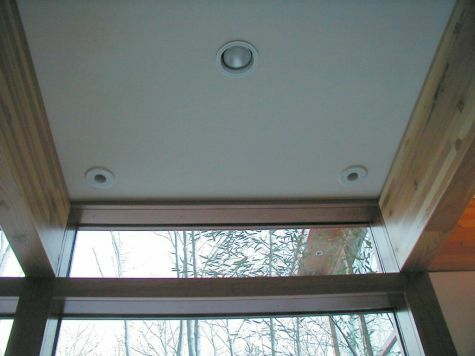 Picture of Unico outlets on the ceiling of the lower level of the home. 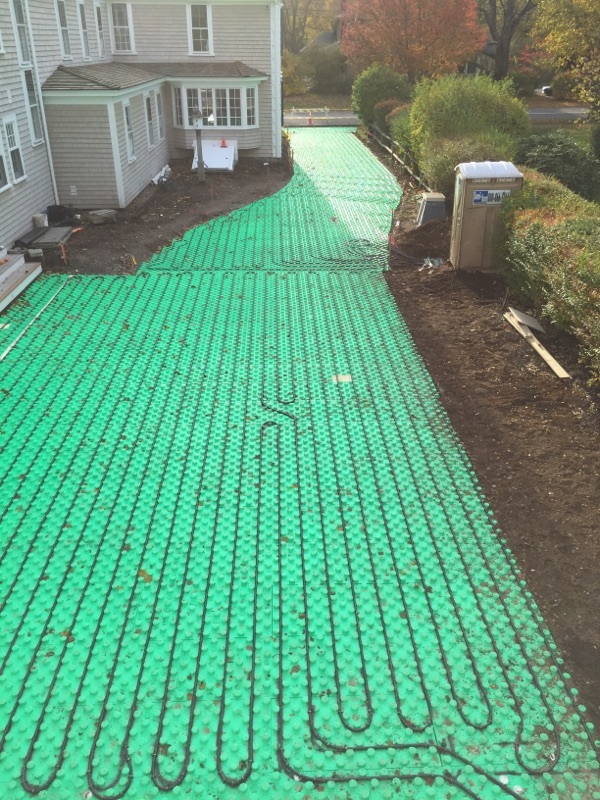 This is a finished room with radiant floor heating and matching Unico hardwood outlets under the floor. 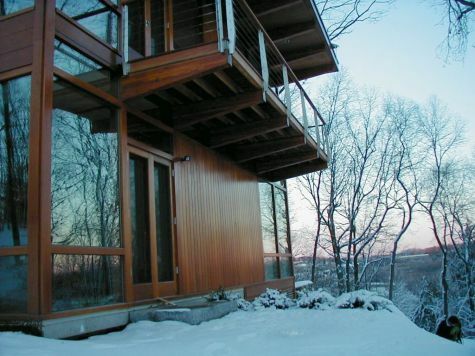 This is the two-story glass walled staircase enclosure. 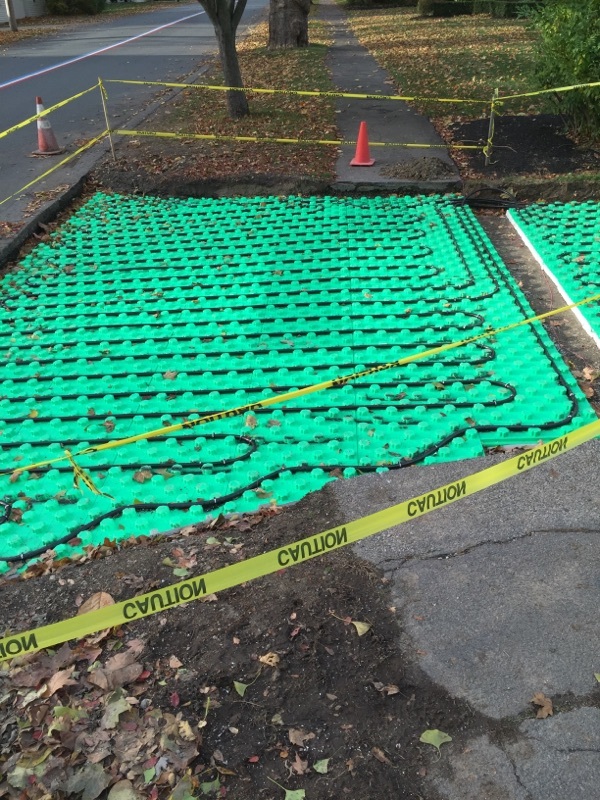 The radiant floor heating would not have been enough on its own. 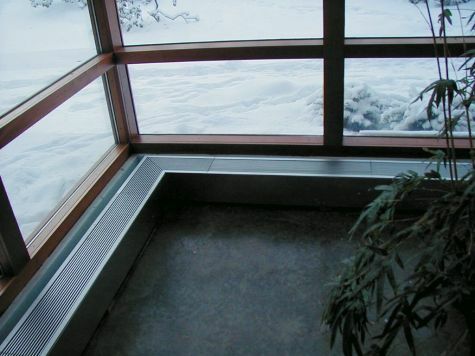 We custom designed and built this floor convector to help wash the glass with heat. 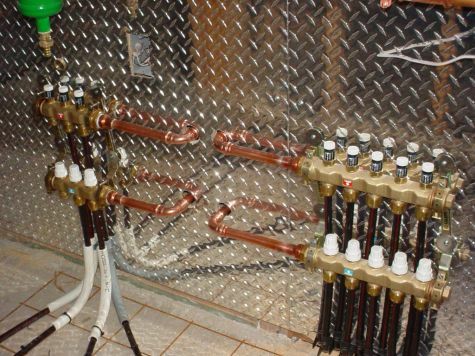 Custom floor convector with custom made top diffuser. 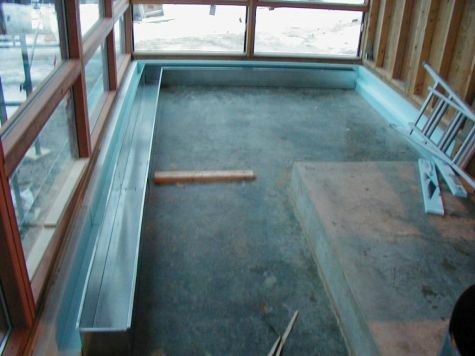 Shown just prior to finishing the flooring. 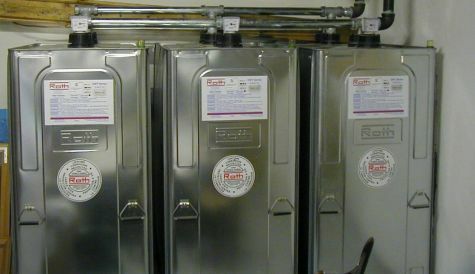 Photo of the Viessmann oil boiler in the installation process. 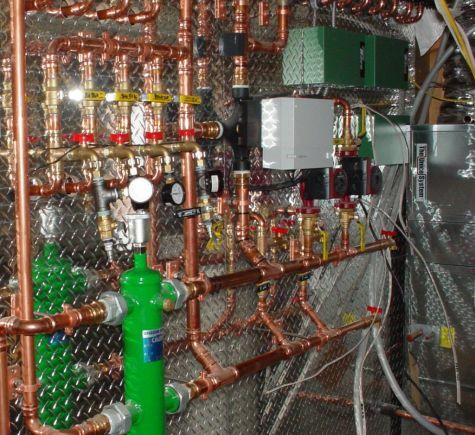 This was perhaps our most complex project ever from a design and installation standpoint. 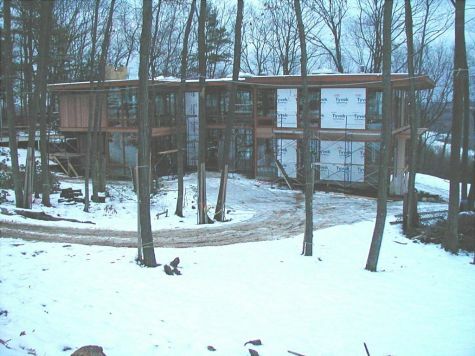 The house has walls of glass making the heating and cooling loads very high, as there is virtually no insulation in the house other than the roof. 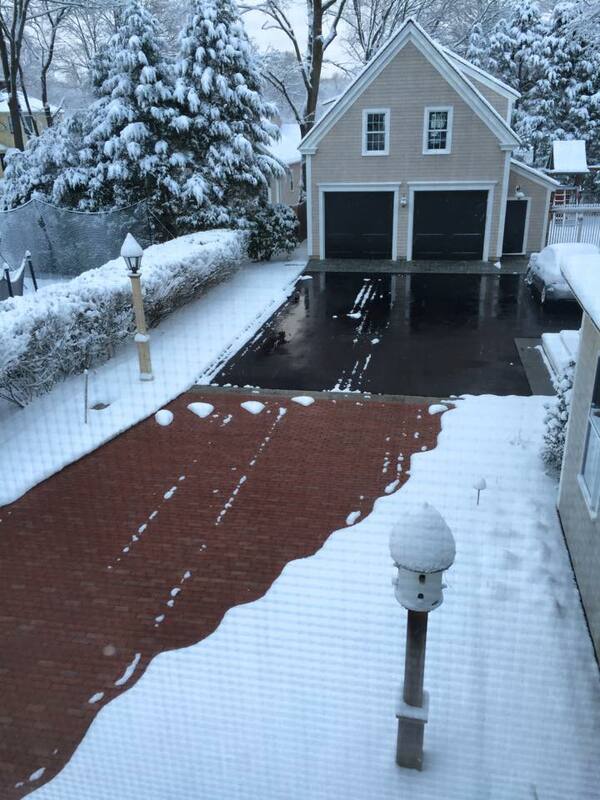 This was especially difficult, since in our area of New England temperatures can reach below zero degrees. 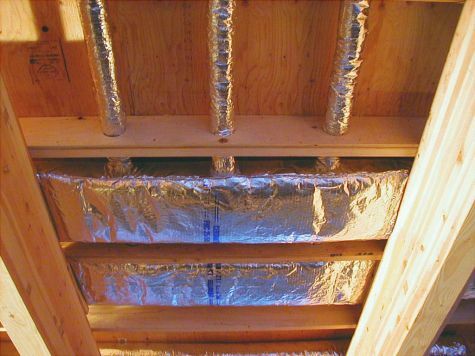 Since the home has a flat type roof, there is no attic or basement to hold the large equipment or ducts. The house is almost entirely heated with Stadler (Viega) Climate Panels. 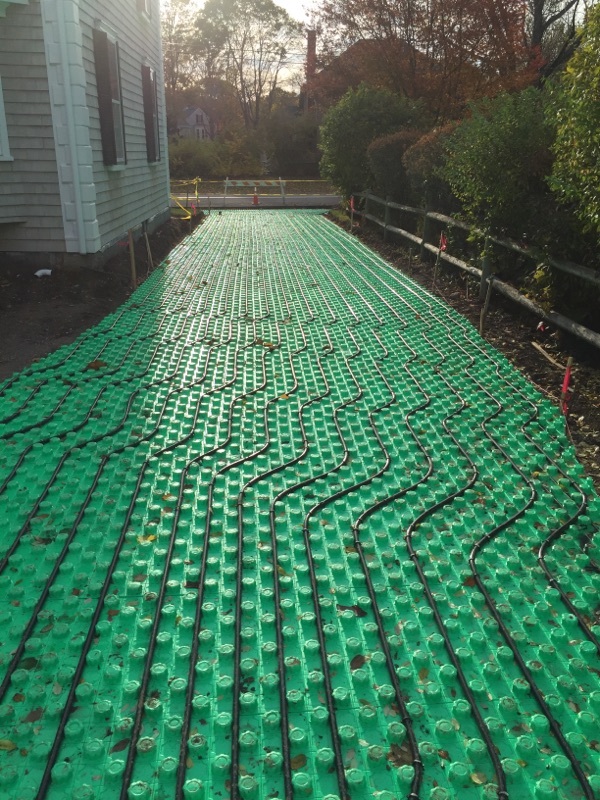 We also installed a supplemental Unico Hydro Air system to kick in for extra heat during extreme cold weather conditions. 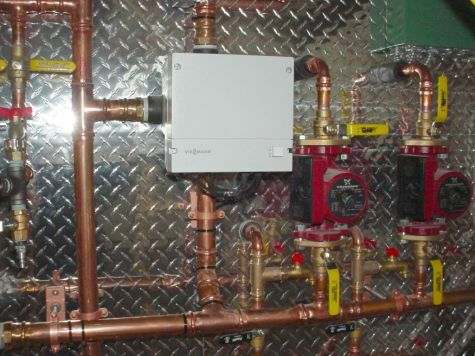 This requires no input from the homeowners – everything is controlled seamlessly and electronically with controls from Viessmann – and custom integrated by Boucher Energy.